Yesterday's fragrance choice was Philosophy Living Grace. 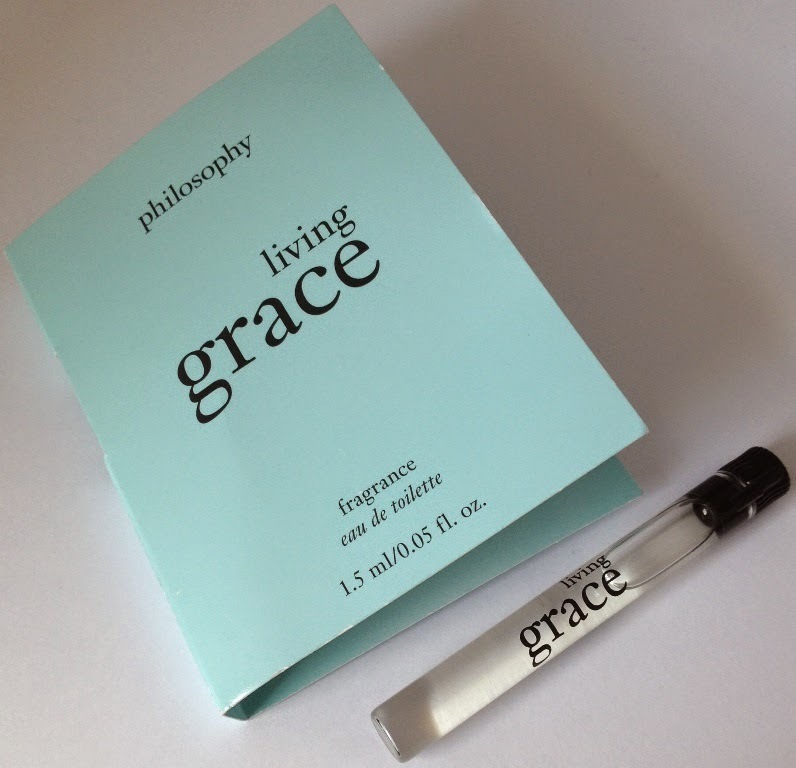 Now I adored Amazing Grace by Philosophy and this was reaffirmed when I wore it again recently (I would happily purchase a bottle) so I was very interested to compare it with Living Grace. living grace spray fragrance was formulated to help center a woman's mood, is deeply sensuous, multi-sensory and truly a heavenly inspiration. living grace is an ethereal, clean fragrance of fresh neroli to create uplifting feelings of vibrancy, soft, clean lily of the valley brings a sense of gratitude and sensuous, warm musk embraces you to the beauty of living in the present moment each day. This is a fresher, almost cleaner scent at the outset compared to Amazing Grace with more of a citrus hit. However as it unfolds I find it to be a lot lighter and more delicate than it too, so the scent trail fades faster which for me is disappointing as I really liked it and wished it to linger. It has a powdery quality to it but more like how I imagine a baby to smell after being bathed, if that makes sense. Nice enough but unmemorable.